Note that it is entirely focussed on the hypothesis of Randall, and thus is limited in its scope. But it offers some views of snails not yet covered in the previous posts. Only a pity that the video does not have the option to see it at a snail’s pace…..
For those interested not only in the picture as a whole but also the snail in detail, a name has been given to each of the snails in my posts as far as possible. Zooming out again, it was interesting to see sort of the ‘big picture’ again. This has been done in the second publication on the results of this project, which has recently appeared. See here, where you may also find a direct link to the paper. 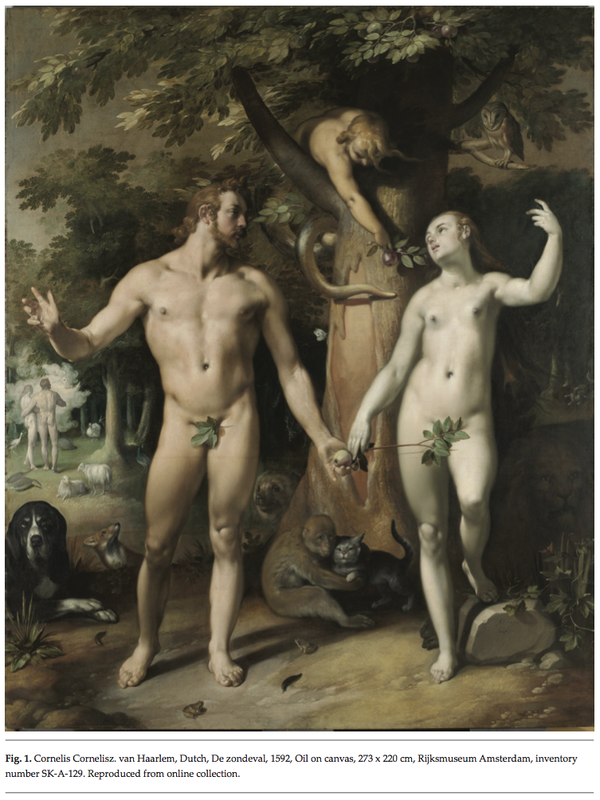 The circle is round and Adam and Eve are a symbol for it. This is my final post for this project and so, like the persons above, waving a farewell to you. 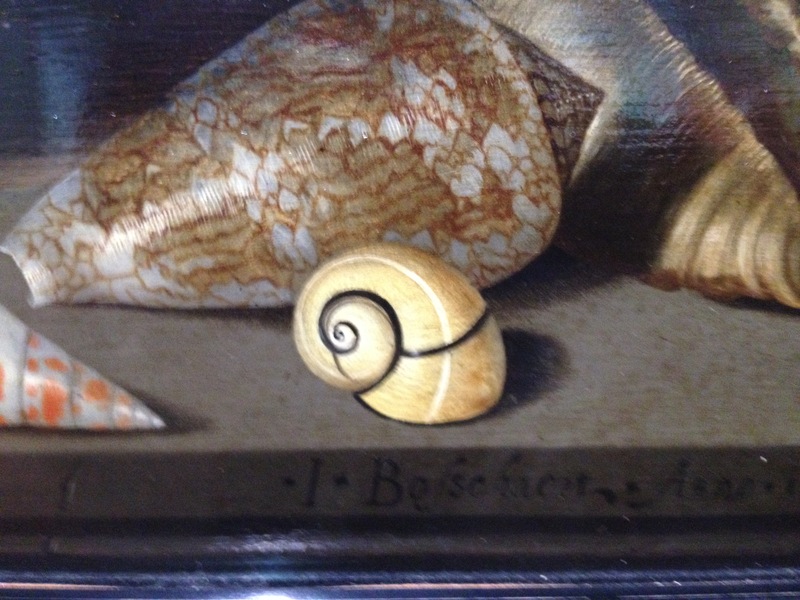 From a friend I received this postcard as “a small addition to the collection of snails in art”. It is after an art work made by the Dutch artist Herman Smith in 1998, acrylic on paper, and is entitled ‘How God created the earth’. 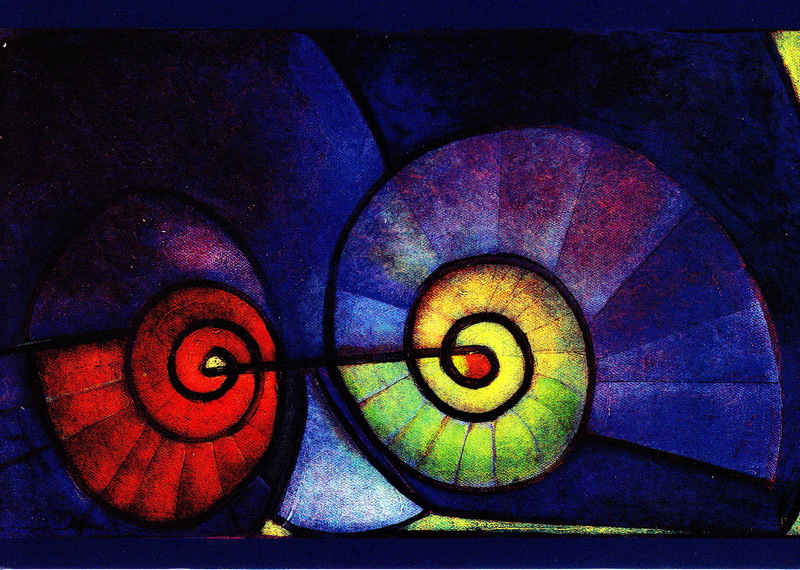 Adam and Eve as snails… A surprising but nice view. Thanks to Joke van de Ouderaa for sharing this. In this blog I have so far one example of an art work in the National Gallery of Denmark (SMK). Just found out that they have made many art works available in the public domain, which seems to become a trending topic among museums. Before I start to explore their hidden gems, I want to share an announcement on a current exhibition, which is called ‘Might and Glory’ . 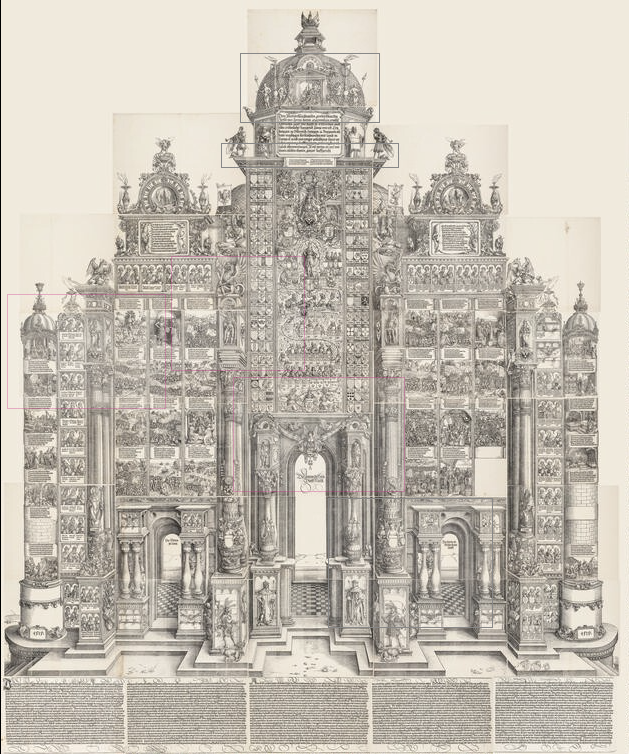 It’s about a true masterpiece by Albrecht Dürer: a print of an arch of honour measuring a stunning 3.5 x 3 meters. Last week I visited the Muzeum Narodowe in Warsaw, Poland. 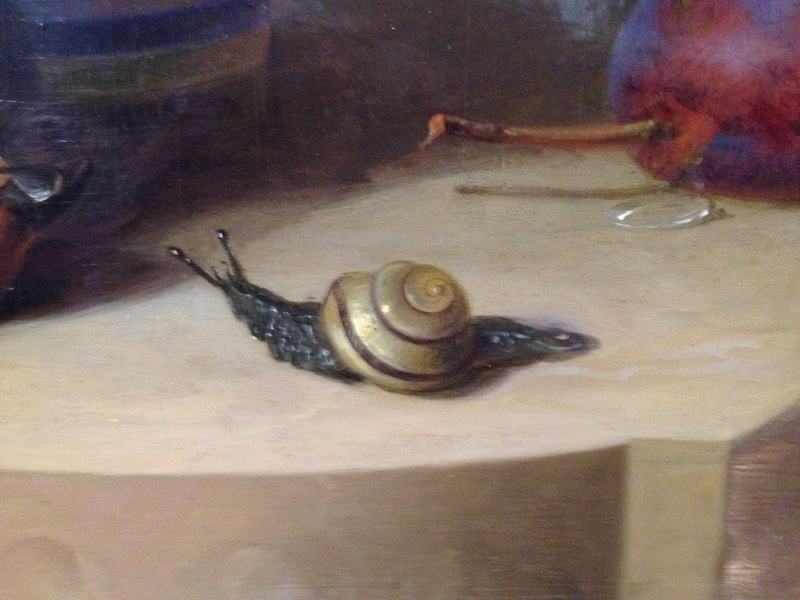 In the gallery on European painters I found one work on display featuring snails. 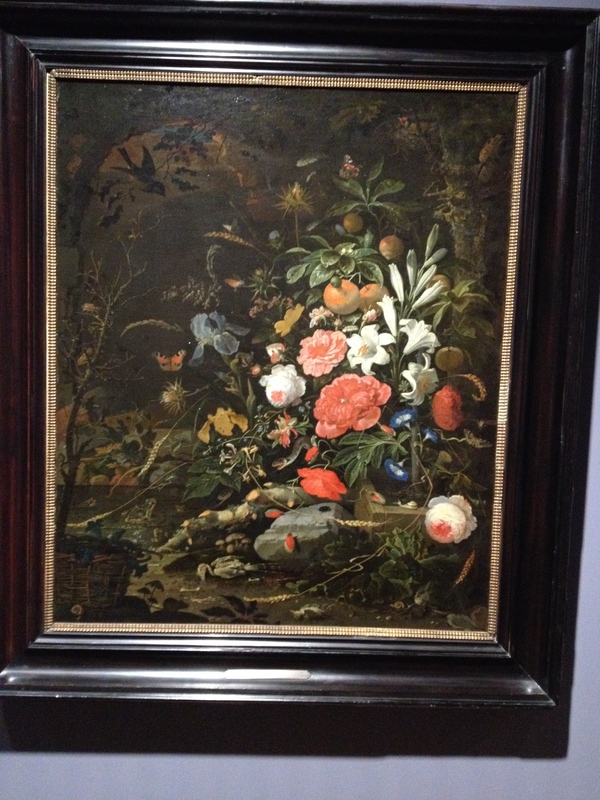 It is a painting by Abraham Mignon entitled ‘Vanitas composition of flowers and small animals’ . According to the RKD database, where this work is named as ‘Still life with flowers and a bird’s skeleton’, it originated during the 1670s . With a keen eye, you can see three snails. One may be easily seen in the highlighted area on the right side, a second one below. The third is more hidden in the darker corner at lower left. 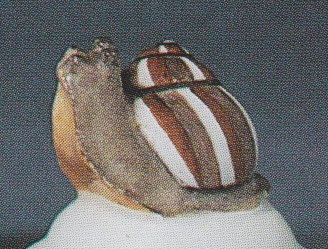 All three are Cepaea species and dextral. This addendum is dedicated to some paintings which I saw during my recent visit to Rijksmuseum Twenthe, Enschedé (Netherlands). I found them in the permanent exhibition, entitled ‘Way to Paradise’, where a number of still lifes were together with some (to me unrelated) objects. 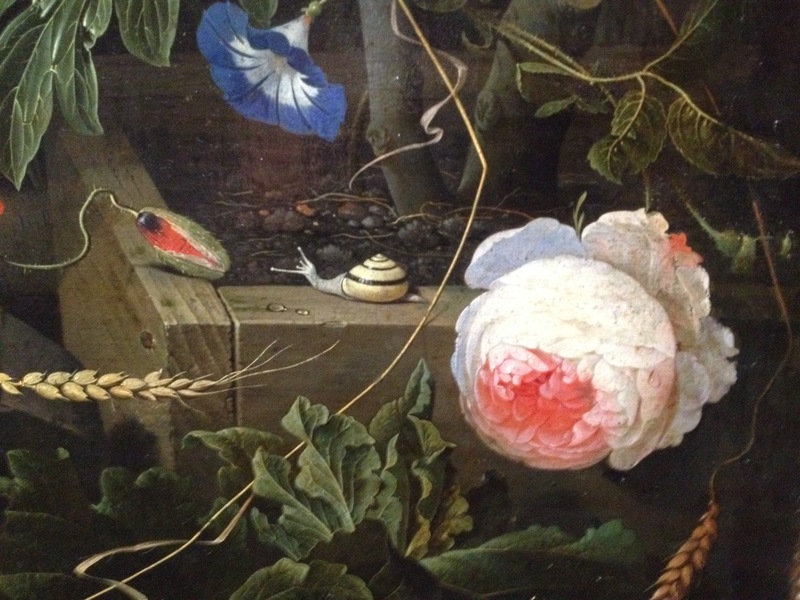 Three of these still lifes had a shells or a snail depicted. 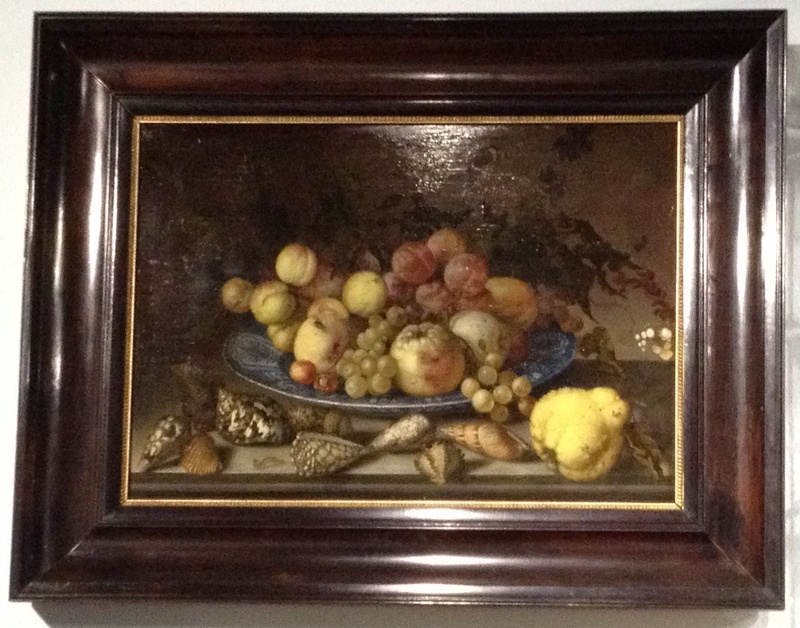 The first is a painting by Johannes Bosschaert (ca. 1606/1608–1628), who worked in Haarlem and Dordrecht . 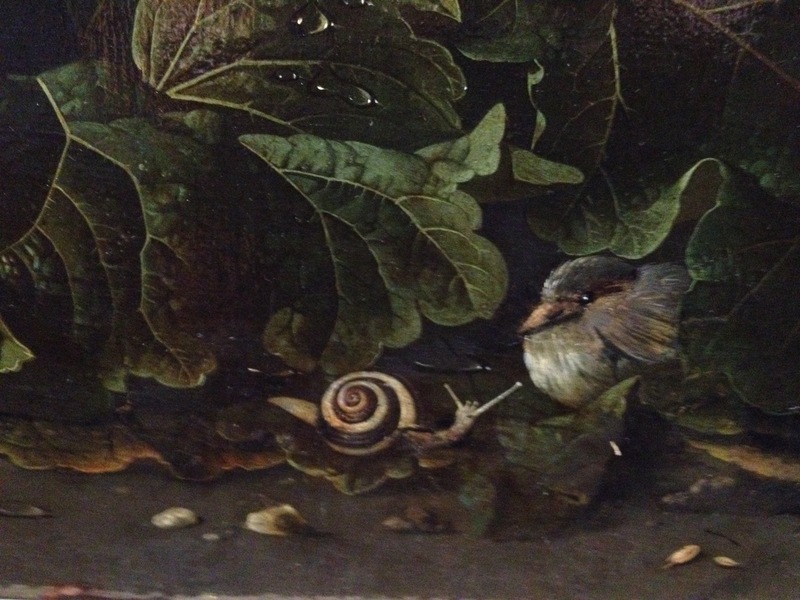 The painting shows four shells at lower right, one of which is a land snail: Polymita picta. Dated 1626, this work was previously in the Kröller Muller museum . 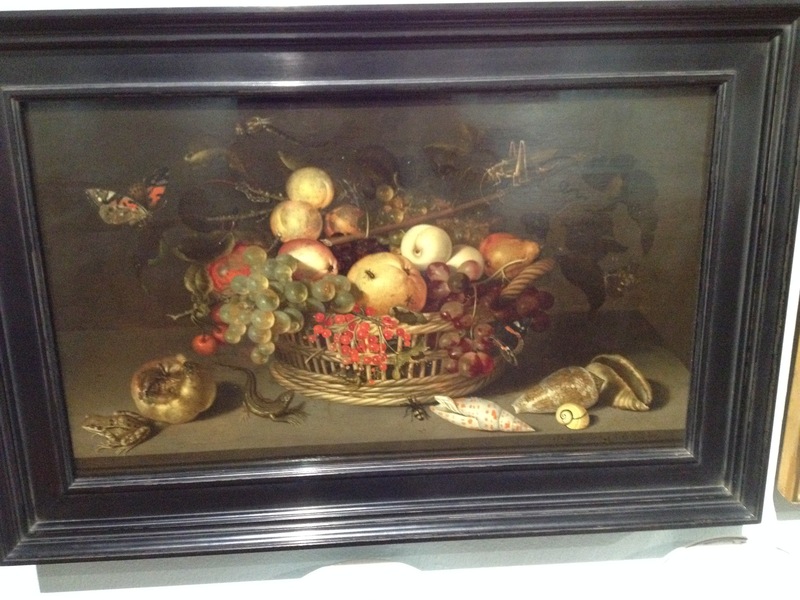 The second is by Balthasar van der Ast is dated ca. 1625, and shows a number of shells. Among these one is probably an Achatinia species. 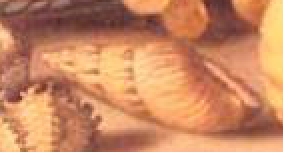 As the painting was high up the wall, the detail has been taken from the picture in the RKD database . The third painting  is by Willem van Leen (1753–1825), who worked in Dordrecht, Paris and Delfshaven (Rotterdam); in the latter place this work was made in 1798. 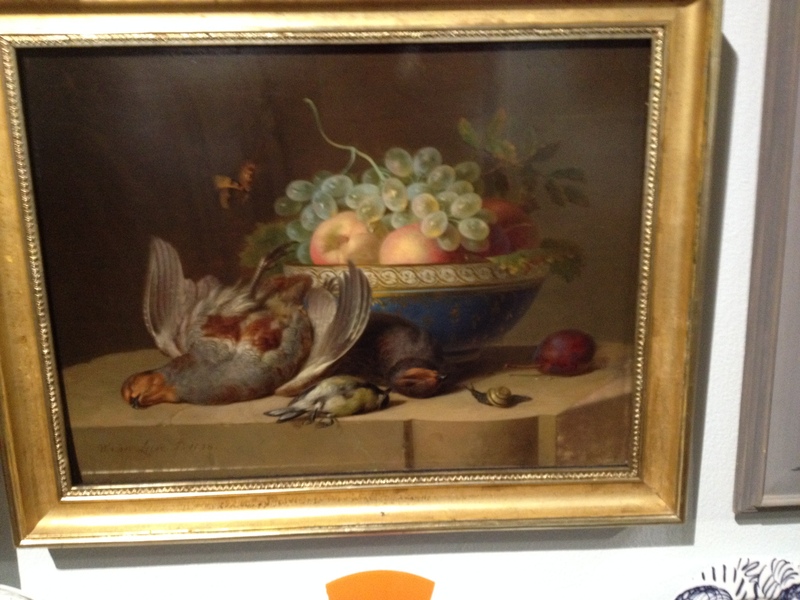 The painting shows fruit, dead birds, and a snail. This snail is clearly a Cepaea species; the body is quite intense black, which is rather uncommon. inv. NK 2695. RKD work 17210 (https://rkd.nl/explore/images/17210). In January 1990 the Colin Harper collection of shells in pottery and porcelain, also glass, books, watercolours & prints was auctioned via Phillips in London. Ad Hovestadt kindly lend me the catalogue of this auction, in which I found one item with land shells [1: item 68]. Both snails are clearly Helix-like species, but their color pattern is a personal interpretation of the anonymous artist who designed these ceramics. 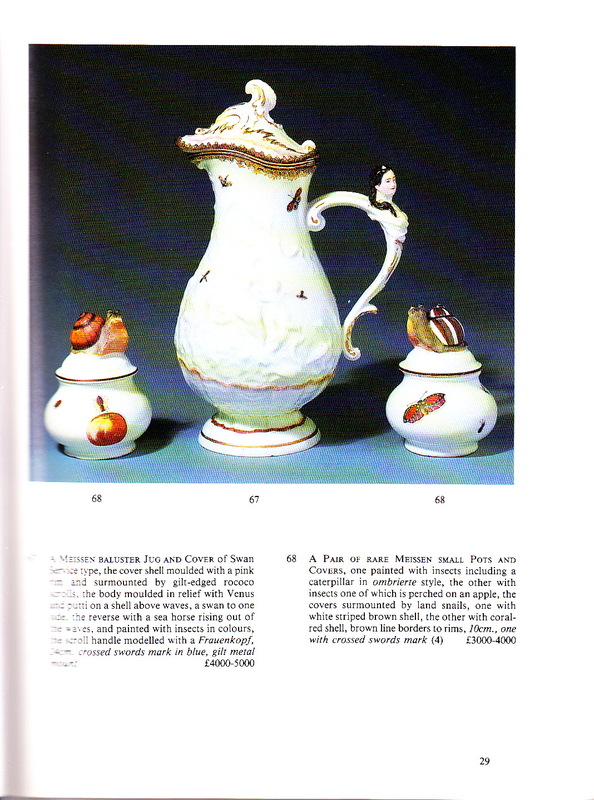 The Colin Harper collection of shells in pottery & porcelain, also glass, books, watercolours & prints, 24 and 25 January 1990. Phillips, London: 134 pp. When I started this project one year ago, I couldn’t quite imagine that it would be possible to hunt down so many snails. Literally hundreds of snails are dispersed over different types of art, and snails are just one of the animals and plants to be found in works of artists from a wide range of centuries. Digging up and hunting down these snails was a pleasure and hopefully my blogposts have been entertaining a few people as well. The term ‘project’ in the first sentence was intentionally; from the start on it was intended as a time-framed activity. This blog was thus never meant to be exhaustively covering all the snails which are out there. But if it has given a good overview of what may be around and perhaps, if provoking some further research questions by someone else, it has served its purpose. Other priority projects prevent me from continuing this blog on a daily basis. But, please, this should not withhold you to go on hunting for snails! PS2: Feel free to give feedback, to share your hunting results or to submit your wishlist for future updates of this blog. Additional to the ones mentioned here and throughout the posts, the followings links and literature may be mentioned as an update and further source of material. 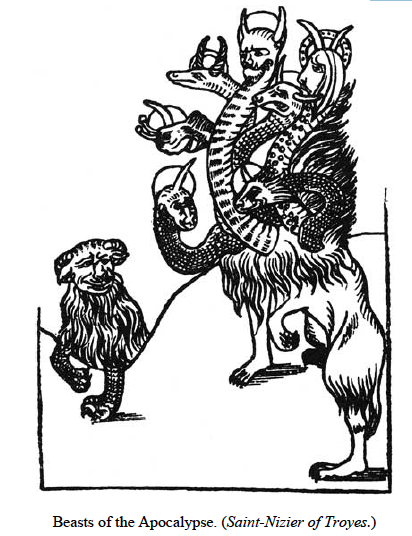 The international Medieval Animal Data-Network (MAD) was founded in 2005 at the Department of Medieval Studies at Central European University (Budapest) as an attempt to bring together multi-stranded intellectual thought concerning human-animal relationships in the European Middle Ages. The aim is to explore the exploitation of animals by documenting and analyzing archaeozoological, textual and visual data. This is a meta-site containing several interesting links mentioned below. 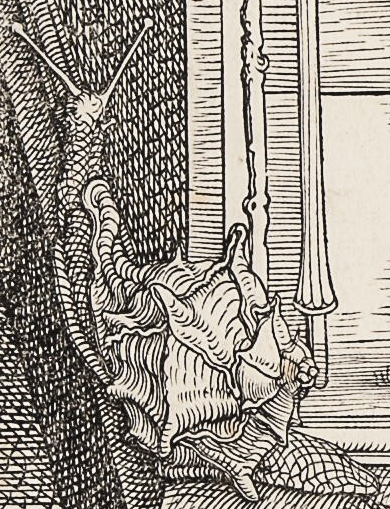 This site contains bibliographical references about snails in medieval texts. Last modified in 2007. The link brings you to the online archive of the Institut für Realienkunde, Universität Salzburg. 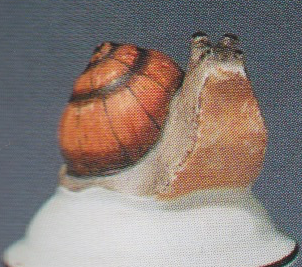 When search for “Tiere” > “Schnecke”, 10 results are presented with very detailed data and annotations, but very low resolution pictures. 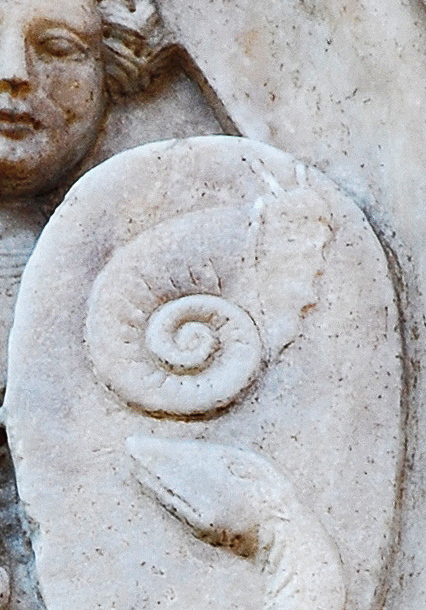 Evans (1896) described in detail the known animal symbolisms in ecclesiastical architecture, mentioning several occurrences of snails . One of these is this picture of a stained window (16th century) in the Saint-Nizier church, Troyes, France, showing a horned snail with also two tentacles (Evans, loc. cit. : 81). The shell is not visible and, as far as seen till now, it is the only reference to a horned snail; a true Apocalyptic monster! 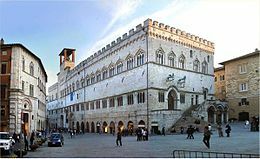 The Palazzo dei Priori in Perugia, Italy, was built between 1293 and 1443 . Those who have visited this city will recognize it immediately at the outside. Inside it is full of art works and one can stroll in admiration for several hours. 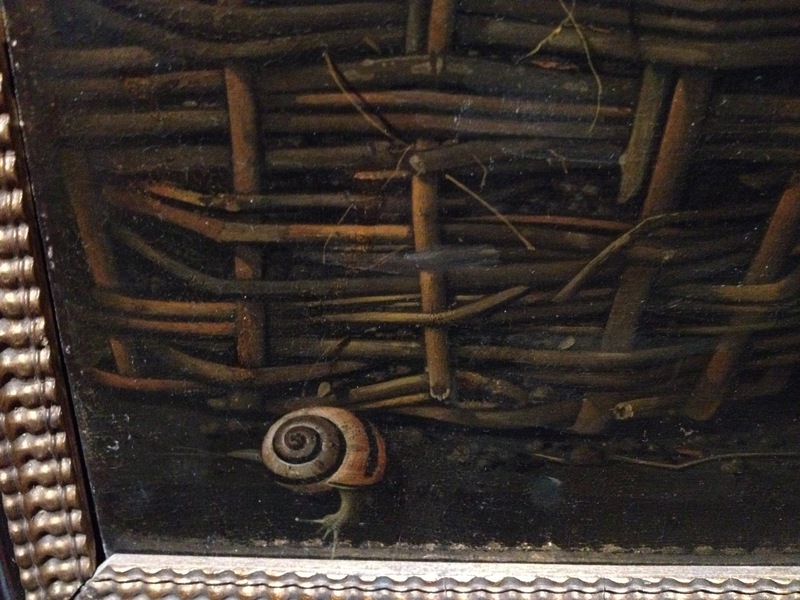 In the Portale Maggiori, finished 1346, don’t pass (as I did) without noticing this snail… . Image through courtesy of Clemens Brandstetter.